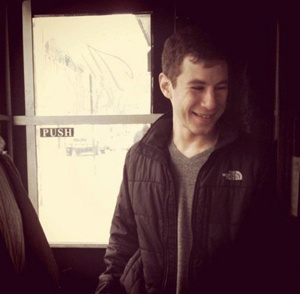 David Marcus is a PhD candidate focusing on twentieth-century U.S. intellectual and political history. His research interests include modern political thought, the history of social movements and political institutions in the North Atlantic, and American intellectual culture. His dissertation—“Fugitive Democracy: the 'Long New Left' and the Revival of Democratic Thought in America”—is a study of political thought and protest movements in the United States from the 1950s to the 1970s. A Hofstadter Fellow from 2010 to 2015, he has taught in the Contemporary Civilization Program and recently helped edit a volume of Marshall Berman's essays, Modernism in the Streets. Outside of Columbia, David is the literary editor of The Nation and editor-at-large of Dissent, where he was formerly co-editor. He also contributes essays on politics and literature to, among other places, The New Republic, Bookforum, and n+1.